Come and enjoy this spacious home on 5 acres in Howe, Idaho. The home itself boasts 4194 square feet with 5 bedrooms and 3 full bathrooms, 2 dens and tons of storage space! All of this combined with a hot tub, dog run, 30x30 shop and carport with tons of privacy makes for an incredible opportunity, and one that will not last through the summer. 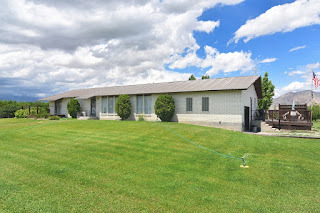 For more Information call L.P. Barnes Real Estate (208) 527-3307.